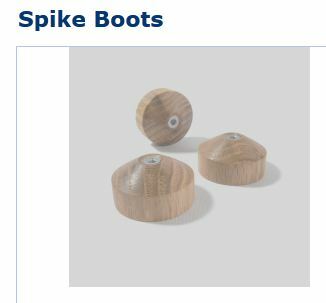 Booties: Significant change in the control of bass can be effected by sitting the spikes at the foot of speakers and hifi supports in purpose-made wooden cones (“booties”). 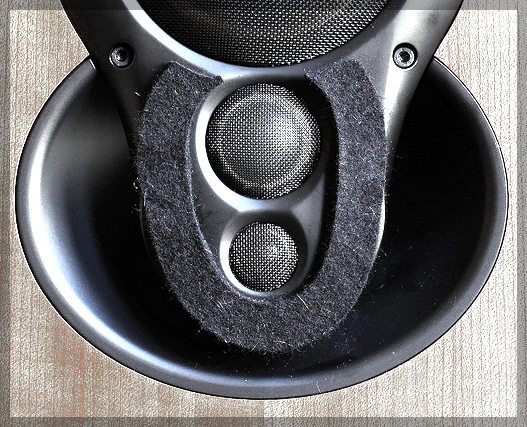 Designed to protect wooden floors, these “booties” have the beneficial effect of improving acoustic isolation of hifi components, resulting in a significant improvement bass control and overall sound presentation. “Focus Rings”: this little tweak made a subtle but definite improvement in the top end. It’s thick felt cut to an O-ring, shaped around the tweeter and super-tweeter. The thick felt absorbs micro-reflections bouncing around the metal tweeter casing, resulting in reduced sibilance and more truthful rendering of the very top-end of the frequency range – most notably cymbal strikes and washes. You could probably DIY it but these are professionally manufactured to consistent shape and depth of felt, and fit easily supplied with double-sided tape, so you can reposition or remove them if you want.Disappear visually with the speaker fronts on, though they are not disfiguring with them off.Around a tenner. 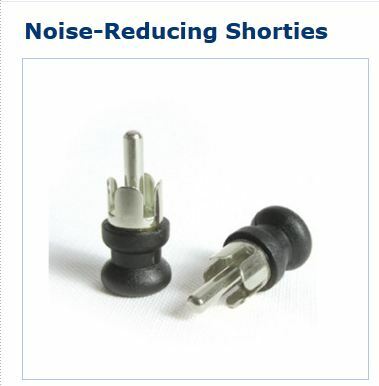 For hifi improvement, thats cheap!